You don't always leave a show wondering about how two characters are really going to live together. 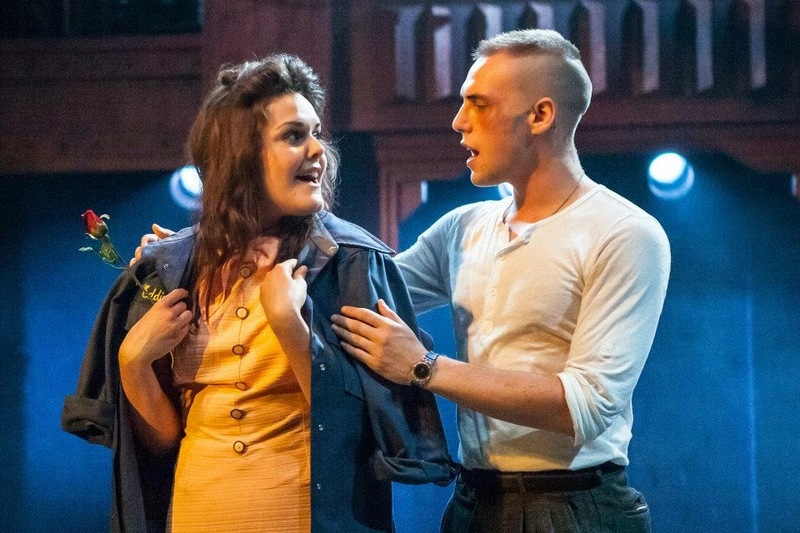 But Dogfight, currently playing at the Southwark Playhouse, manages to have you totally engrossed in its story of unlikely love that you can't help but think about their feelings and wonder what did happen to them. It also helps with such ingenious casting and brilliant performances from its two leads. 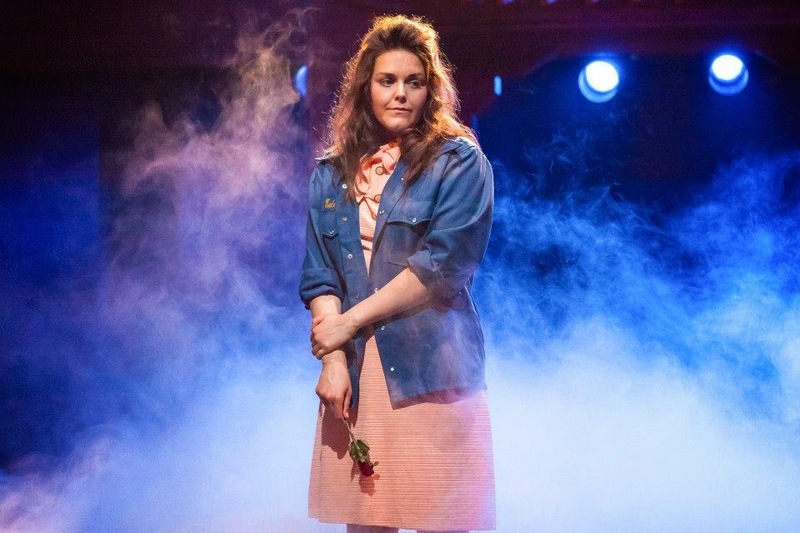 Jamie Muscato as Eddie and Laura Jane Matthewson (making her professional debut) as Rose are mesmerising and at times heartbreaking as two unlikely lovers. On the surface he is tough and she is sweet but their performances show that beneath the surfaces lie anxieties and strength that bring them together. Based on the movie of the movie of the same name (which starred River Phoenix and Lili Taylor), the story is about a group of young marines (or Jarheads) on their last night in San Francisco before they head off for a tour of duty in Vietnam. The marines take part in a tradition where they put money in a pot and compete to bring the ugliest girl to a dance. The marine who brings the ugliest girl to the dance wins the money. Rose may not have been on any dates, but in her song Nothing Short of Wonderful imagines how being invited out by Eddie as she deliberates what dress she needs to wear. When he goes to pick her up, Eddie has second thoughts about taking her to the Dogfight. While he is supposed to be the macho young marine with his buddies, he is drawn to Rose and has feelings for her. And that is what becomes fascinating about the piece. The juxtaposition of the crude and harsh world of being a marine, the backdrop of the Vietnam war and the tenderness and emotional connection between Eddie and Rose. It is rare to leave a new musical humming the tunes, but Benj Pasek and Justin Paul have created a work where the music is not only essential to the story, but memorable. 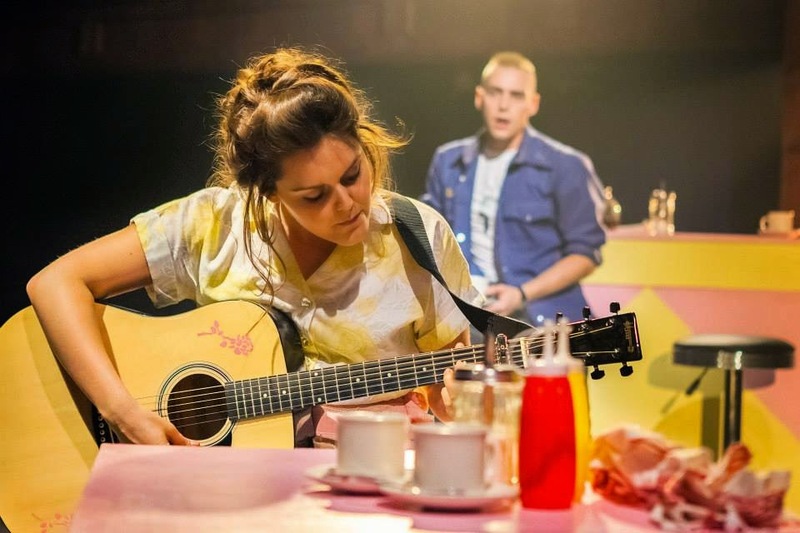 A mix of folk, rock and musical styles it is never out of place, although sitting close to the band speakers at the Southwark Playhouse (which feel like they blast out over the audience) drowns out the vocals at times. With the book by Peter Duchan, the musical is fairly economical and for the most part keeps the action centred on the Dogfight, the marines and the relationship between Eddie and Rose. If the flashbacks and the brief cut to Vietnam seem superfluous (since we know what happens), what comes out strongest is the passing of time and how innocence is replaced by experience. Dogfight won on the Lucille Lortel Award for Outstanding Musical and was nominated for 5 Outer Critics Circle and 2 Drama Desk Awards for its New York production. It should get some more nominations for this terrific production. It continues to 13 September.